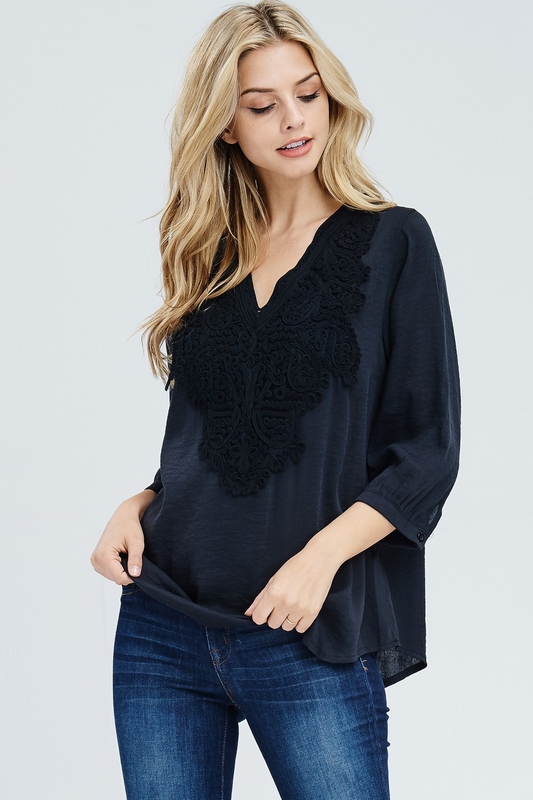 V-neck top with embroidery and 3/4 sleeves. Nice loose fit made from a soft and comfortable 100% rayon fabric. Model is 5`8 wearing size small.